to be built into control cabinets (mounted on top-hat rail) without programming unit. to be built into control cabinets (mounted on top-hat rail) with integrated programming unit. mounted in an IP 65 casing for installation in the field (e.g.at the filter), complete with indicating lamps and push-button but without programming unit. 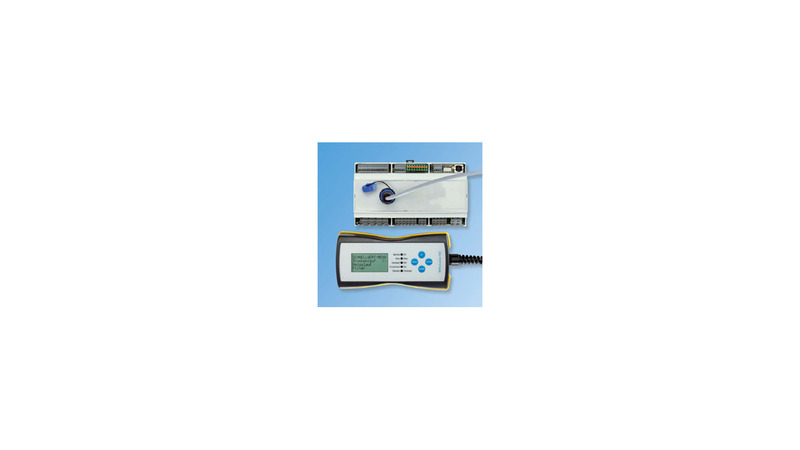 Hand-held appliance with cable and plug to programme the switching thresholds of RPR-Control 100-1 and RPR-Control 100-3. The switching thresholds are user-programmable. Also included is a real-time clock with elapsed-time meter, e. g. to monitor maintenance intervals.